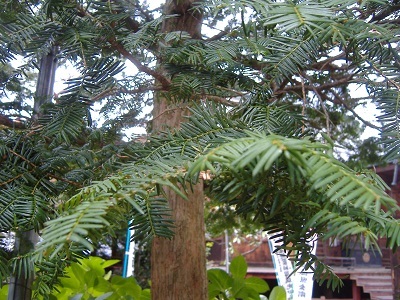 Yew Trees grow thick in the mountain area in Takayama. In England, Yew tree was used to make a bow. Yew tree bow was so strong and pliable that an arrow shot from Yew tree bow was able to penetrate iron armor of enemy soldiers. It is said why England defeated foreign army. 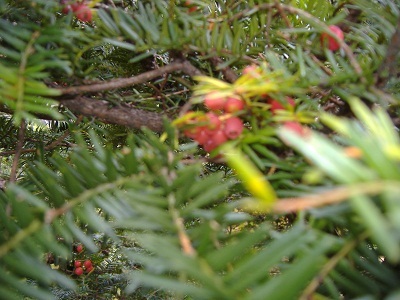 The seed cones are bright red berry-like fruits. The end of the fruit is open. 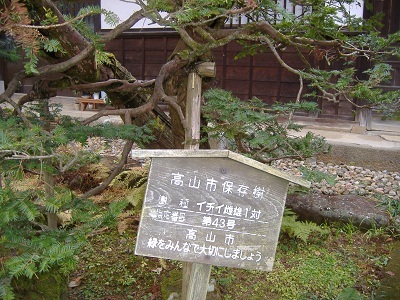 This Ichi is designated as a preservation tree of Takayama city. Male strain and female strain, so dioecious plant. Some effort to find female strain was needed for me. 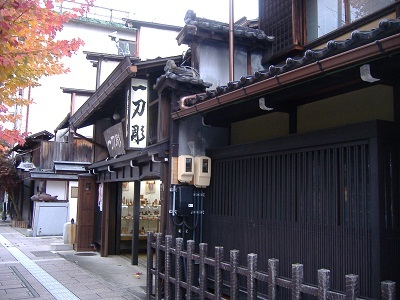 One of the old-established carving workshop, Tsuda chokoku which has a 170 year history and is situated near Takayama Jinya. 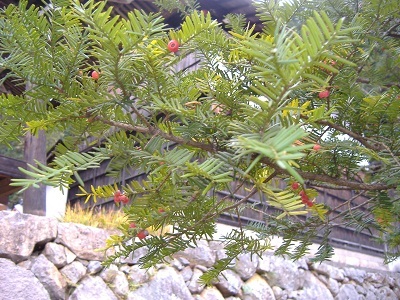 Yew tree is called Ichii in Japanese. 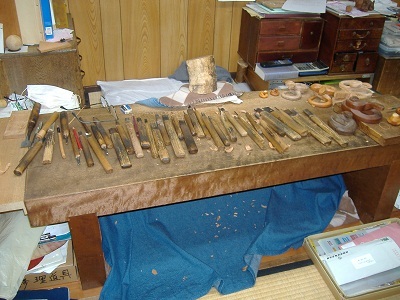 Many differen types of chisels are used for carving. 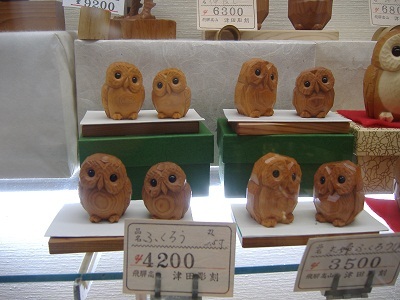 Owl carvings. 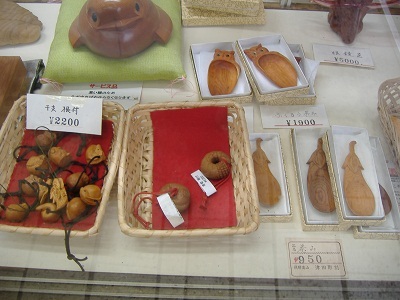 Fukuro is the name of the bird in Japanese, and it means that hardship will not come to you. It is a good luck charm. As time passes, Yew tree carvings turn black. Newly caved yew tree is plain color.